Once Thanksgiving passes it’s time to deck the halls and your home! But after spending loads of money on holiday gifts, parties, food, and school functions, who has money for new decorations? I always love upcycling and re-using old items and turn them into something rustic and fresh for the holidays. 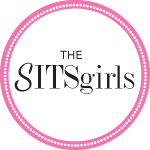 So check out these super cute 4 Easy DIY projects I came up with for SFLTV in South Florida to help make your home merry and bright! Every home needs a wreath no matter what holiday you celebrate. Confession time, I’ve had the same wreath for 15 years! It’s artificial and I switch up the decorations I put in it each year. This year I went traditional with red, white, and silver. You can pick up these items at any craft store, or even the Dollar Tree. It really is easy! Even if you don’t celebrate Christmas, you can add some cheer to your door with this trendy ornament wreath. You can find the base and all the ornaments again at a dollar store! Here are instructions on how to put this together in a hurry! Yes I’m obsessed with mason jars. I’ve used them for every party including my mom’s 70th, our Frozen extravaganza, and they even came in handy while we partied with the Little Mermaid. This holiday season I filled them with ornaments, pine cones, and cinnamon sticks for our bathrooms. 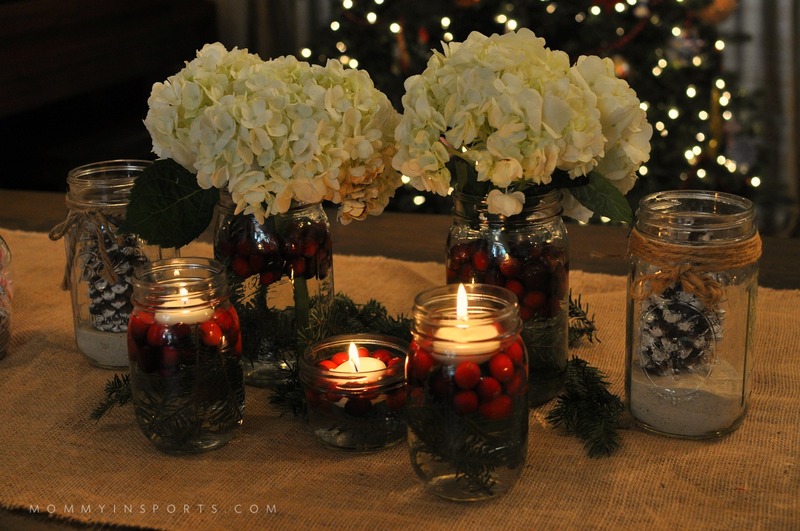 You can even use mason jars to make this gorgeous centerpiece. Some may say they’re going out of style, but I still use them all year round! 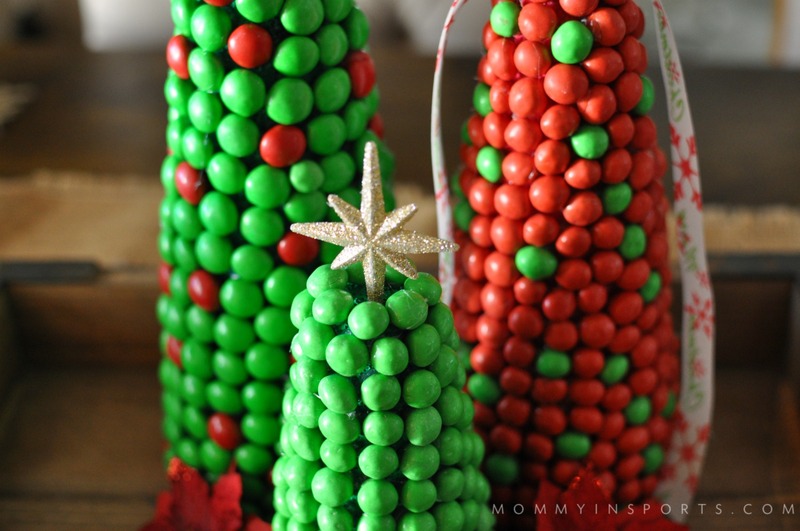 I am obsessed with this M&M Christmas Tree project from Carrie Elle! I used the hot glue gun, but you can use regular crafting glue too! 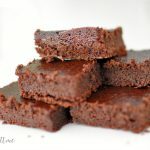 This was a fun one to make with the girls too, and makes a great hostess gift, or cute decoration for your foyer. Just don’t eat all the M&M’s like we did! For the tops you can use the little stars I found at the Dollar Tree or bows like Carrie used. Tune in to SFLTV on December 11th and 18th at 2:00pm & 8:00pm to get the details on how to make this in a hurry! We make an ornament each year and send to our family. Two of our favorites were featured on the local TV show, and the tutorials are here on the blog. The clothespin snowflake ornaments are perfect for kids, and make cute gift tags too! And these vintage music note ornaments look so much more beautiful and ornate, but are super simple! It was so much fun shooting this segment with Melissa Marerro of The Fix, hope you’ll tune in! 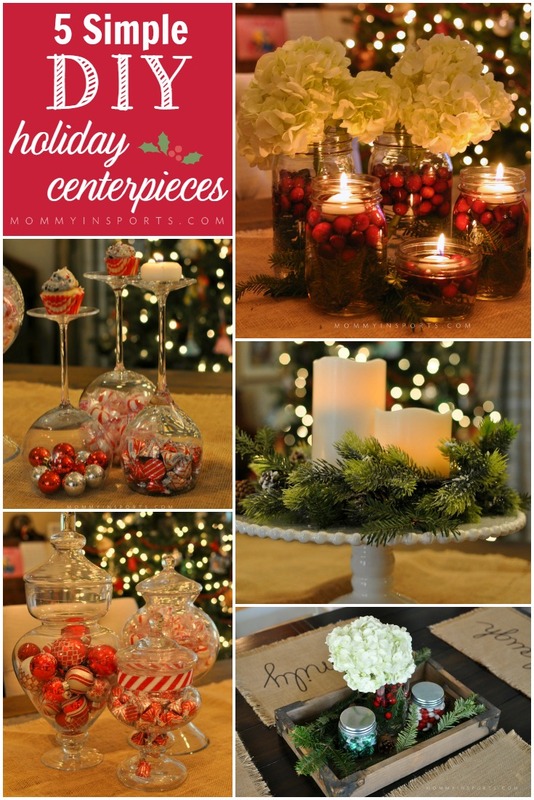 And for more great DIY holiday centerpiece ideas, check out this post! Don’t forget to follow along on Facebook for more great DIY ideas! 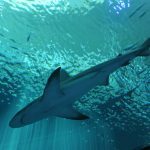 And click below if you liked this post! The M&M trees are adorable! I love these ideas! I too love mason jars, but have not really used them for decorating. Thanks for the great suggestions!